Tulip is one of the most famous and precious flowers of the world. 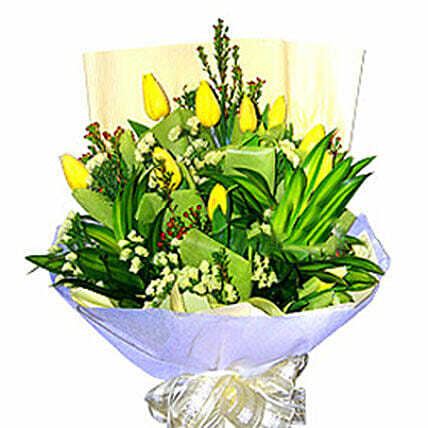 On occasions like anniversary or Valentine’s Day, this wonderful hand bouquet of tulips with fillers and foliage would be really appreciated. Present it to your loved ones and keep celebrating life. As Tulips are seasonal flowers, you must check with us for color preference and availability before placing an order.